Hey ya'll and happy Friday! This week has literally gone by in a flash! I'm literally so nervous to start my new venture on Monday (if everyone agrees to my contract. I'm still waiting actually) I'm going to still try and leave the house each day this weekend but also spend as much time one on one with Miss A that I can. There's a pageant this weekend we may attend and then I really need to squeeze in a Costco trip to stock up and snag some goodies for Miss A's birthday NEXT week. Where the heck has the time gone ya'll? Ahh! Anyway, here are some of my favorite things from this week. 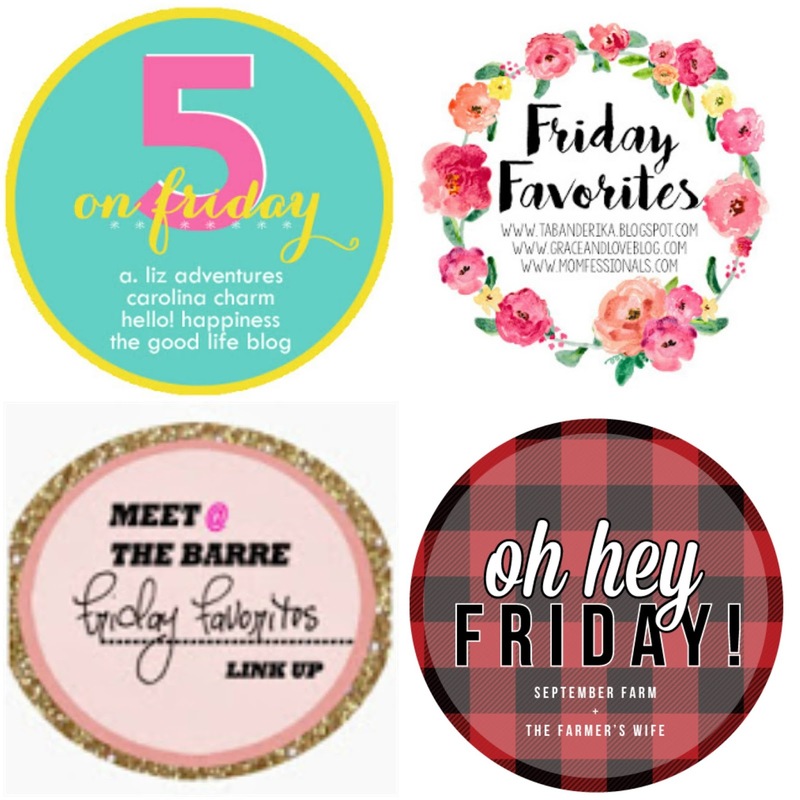 linking up today with April from A. Liz Adventures, Amanda over at Meet @ the Barre , Karli with September Farm. 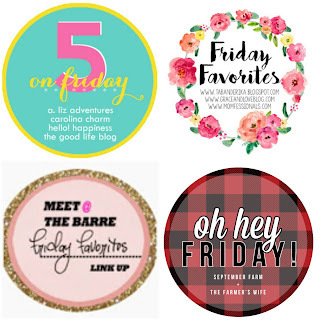 and Andrea from Momfessionals for Friday 5 and Friday Favorites. Join in! 1. Ok, ya'll know how much I love to live tweet my favorite shows (when I'm in the mood) and how Twitter is literally the easiest ways to interact with your fav celebs, etc. (remember Chris Harrison talking with me last year during the bachelor? 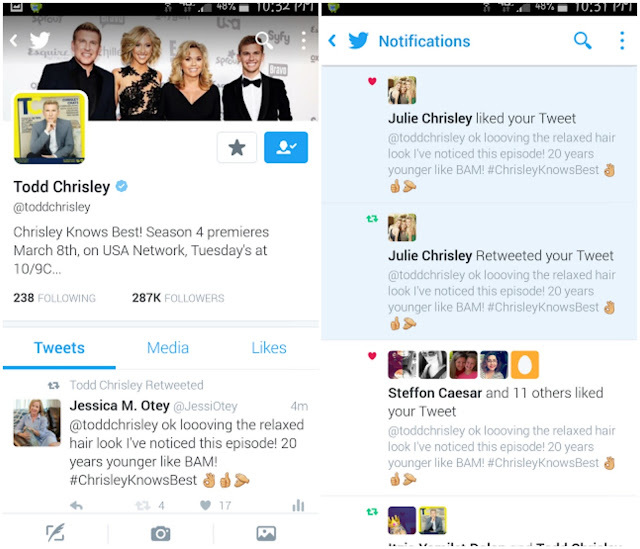 Yea we're besties .... haha) Well I'm obsessed with The Chrisley's and their show Chrisley Knows Best on USA. He is my parenting spirit animal. He's favorited 2 of my tweets before but Tuesday night I got favorites and 2 retweets from Todd and Julie. I'm such a dork but it totally made my evening! 4. 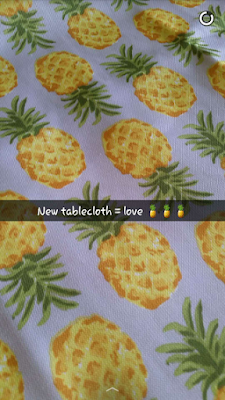 Favorite score this week: My new pineapple indoor/outdoor tablecloth from Home Goods! 5. 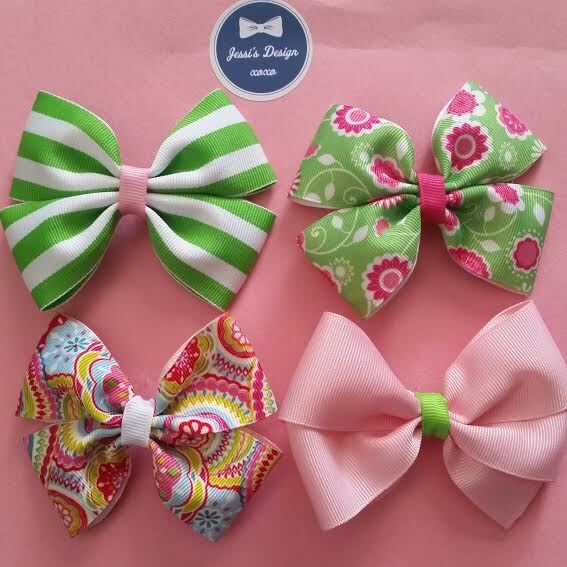 Jessi's Design Bows has lots of new Spring styles! Let me know if you'd like to purchase any of these sweet bows. They're all on line alligator clips and they are $5 each or 2 for $8! I love watching the Chrisley's!!!! His parenting is hilarious! And I love the pineapple tablecloth--I will have to check out Home Goods to see if I can find one too! Chrisleys are the best! I always watch the show after the fact in big doses, but it's so damn funny. I love Savannah and want her whole wardrobe haha. So fun that you got liked and retweeted by them! Love the pineapple tablecloth you found!! Yay for the retweets! And that tablecloth - so cute! Have fun at the pageant and yay for Miss A's birthday! Happy Weekend! I always get excited if a famous person interracts with me on Twitter haha! I just love Steel Magnolias! 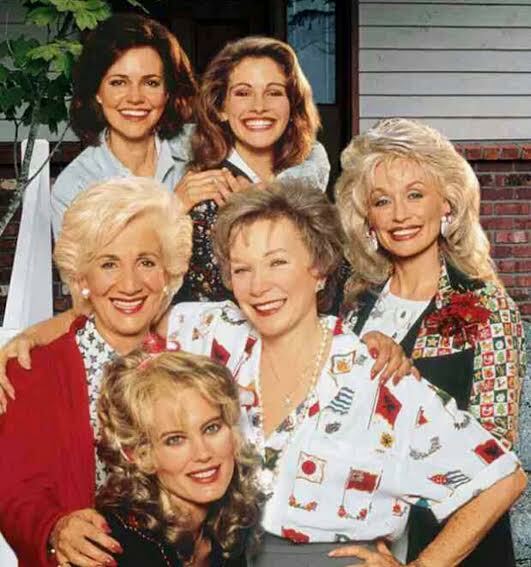 Great great movie:) Total squad goals! That is so awesome Todd and Julie retweeted you! !I've got to catch up on this week's episode! Have a great weekend and enjoy spending time with Miss A before Monday - eek so exciting!!! hope everyone signs your contracts and everything goes well on monday! fingers crossed :) love the squad goals, um that would be an amazing 'squad' haha! so glad i found your blog and cant wait to read more! happy friday! Twitter makes me feel so old. I have it, but I don't use it. And once again, I feel like I'm missing out. OMG #2!!!! I'm seriously dying! Hilarity!! 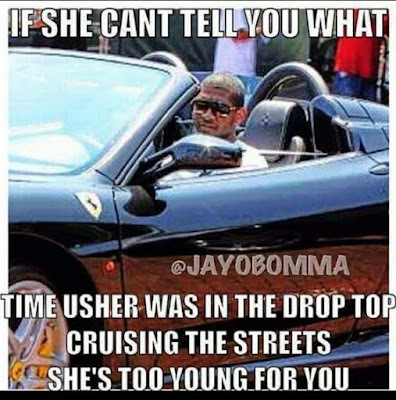 Omg that funny about the Usher song is too funny! The snap of day 2 of daycare... Yikes! Lol. Love the pineapple table cloth! So perfect!